I used my leftover roast chicken to make a simple and delicious chicken salad. 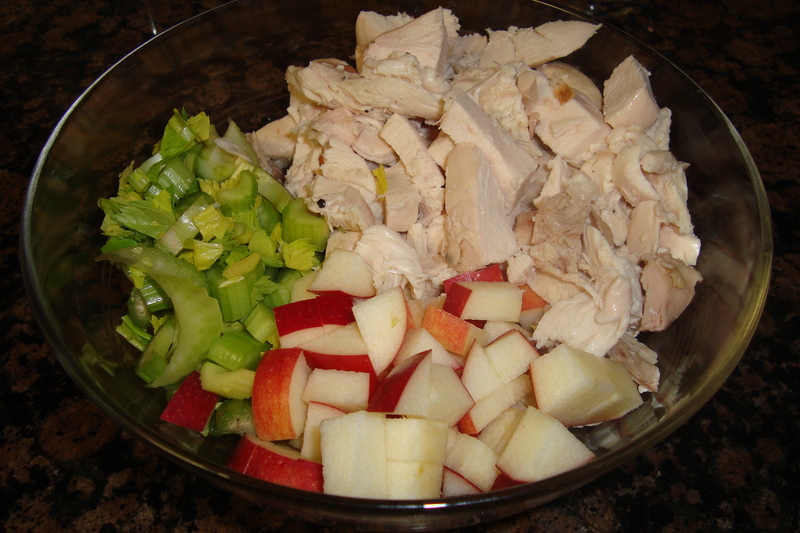 I like something sweet in my chicken salad, as well as a variety of textures, so I added apples. Especially considering that it took five minutes to make, it was ridiculously good. You can use any type of chicken, but I think that the roast chicken made it more flavorful. If you don’t have a roast chicken lying around, you could buy a pre-made one from the supermarket. Combine all ingredients in a mixing bowl. Season to taste with salt and pepper. Serve on toasted bread as an open-face sandwich.